After three consecutive appearances at the event, SK Telecom T1 have been eliminated from World Championship contention after a close 2-3 loss to Gen.G in the first round of the LCK regional qualifier. Heading into today’s match, SKT made a few alterations to their roster. Returning to the starting lineup in addition to their star mid laner Lee “Faker” Sang-hyeok, was top laner Park “Untara” Ui-jin, who had yet to play in summer. With Untara and Faker’s return saw SKT revert back to their old strategy of using a tank top laner and scaling carries for late game success. This strategy proved successful for the first half of today’s series, with Faker and AD carry Bae “Bang” Jun-sik both having stellar carry performances in games one and three. Quietly setting up the kills for his SKT carries, meanwhile, was Untara, whose Ornn call of the forge god ultimates continued to tag Gen.G’s players. But as the series progressed Gen.G began to adapt to SKT’s strategy, changing out players in order to alter their own playstyle. And soon Gen.G found the changes necessary to find victory—take Ornn away from Untara, or put Faker on an immobile champion. Without Ornn, Untara’s effectiveness dropped dramatically, falling prey to Gen.G top laner Lee “CuVee” Seong-jin, and his carry Gangplank. While their laning phase wasn’t stellar in games four and five, Gen.G managed to hold SKT off until their champions hit the respective power spikes, where they then simply out team-fought their opponents. With their loss to Gen.G today, SKT’s 2018 season is now over as there is no other way for them to qualify for the World Championship. The last time SKT missed a World Championship was four years ago, when they lost to both Samsung White and NaJin White Shield in that year’s regional qualifier. 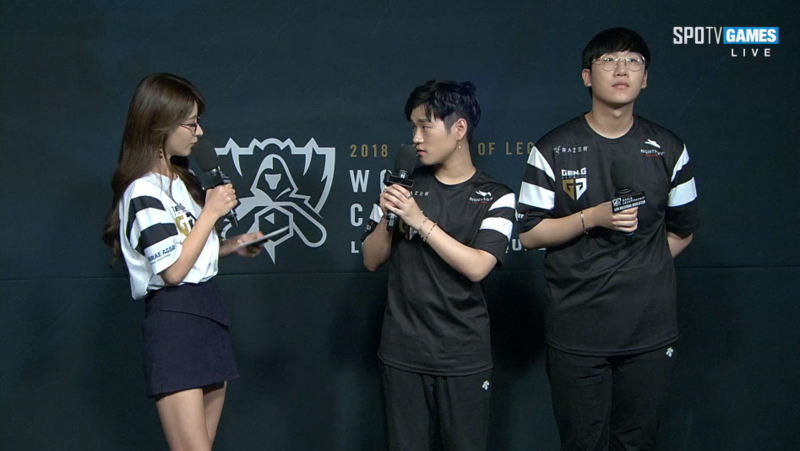 Gen.G, on the other hand, will move onto the second round of the regional qualifier, where they will face LCK Summer Split finalists, Griffin. The second round of the regional qualifier is set to take place on Sept. 14, at 5pm KST/4am ET.